Trying to figure out what kind of a bride you will be? Whether you will be exuding chilled-out vibes or will you be all nervous and cranky? Your zodiac sign can truly determine your bridal behavior. Chances are, you’ll be a little bit of both throughout the months, weeks and days before your wedding day. But how will you be on your wedding day? Know the level of anger, tears, joy, excitement, nervousness and fear, you may have as a bride on your wedding day based on your zodiac sign here. Talking about an Aries bride, she possesses boldness and leadership skills in her. 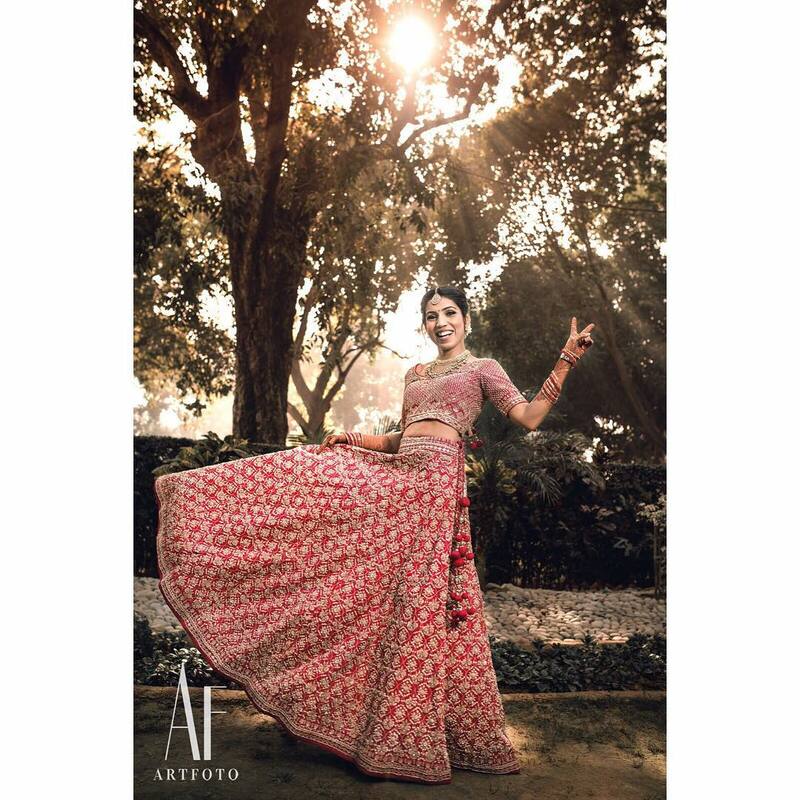 This quality of an Arian bride will keep her very energetic and bossy on her wedding day. 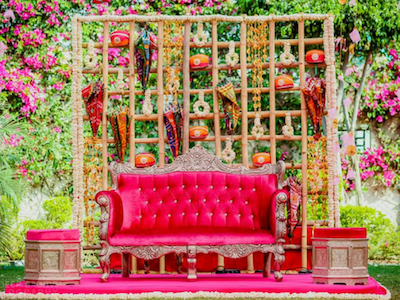 When it comes to her wedding arrangements, she will leave no chance to grab the title of a trendsetter. Though she is a soft-hearted inside, she won’t let her emotions spoil the excitement and joy of her D-day. 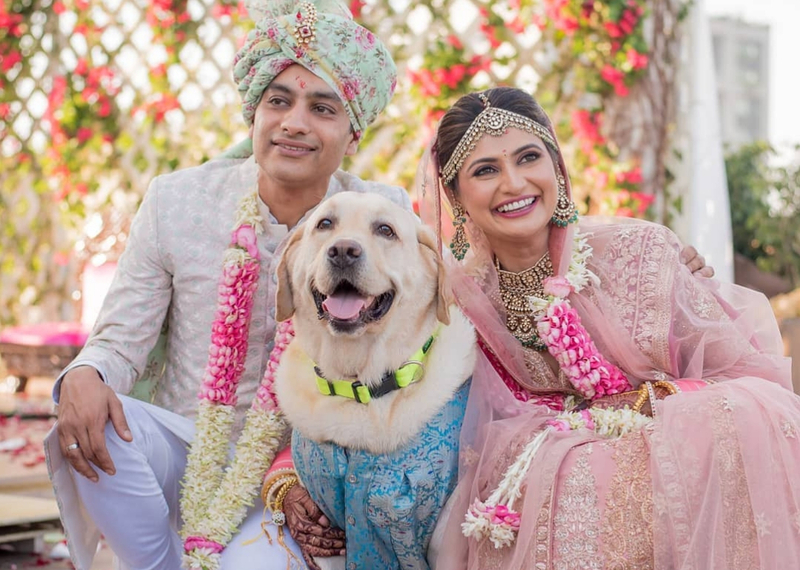 But when it comes to her wedding looks, she will definitely be nervous. 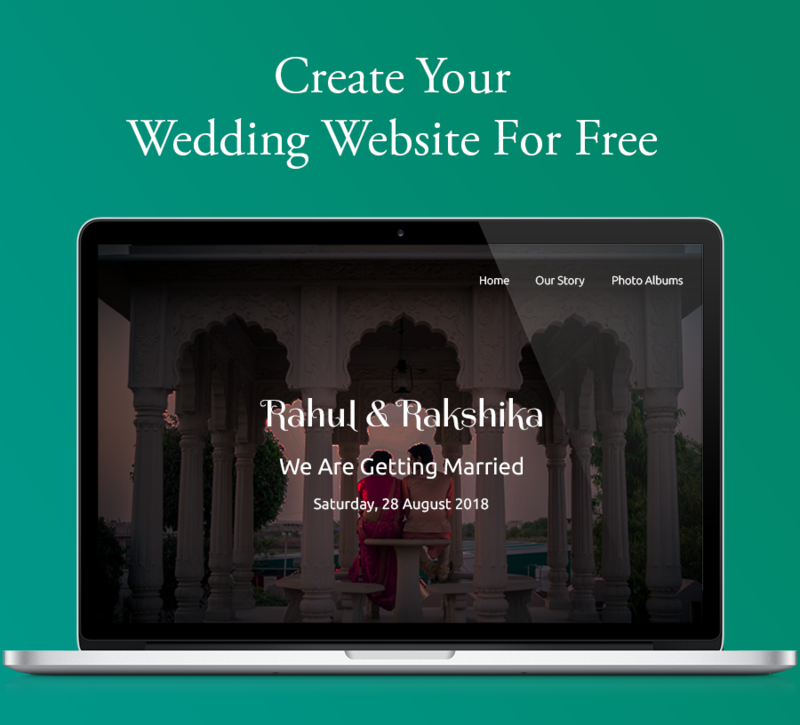 ShaadiWish Tip: We are aware that you prefer doing things in your own unique way, but don’t get too worked up on your own wedding day. Your arrangements will definitely stand out and will grab you compliments for sure! Speaking of a Taurus bride gives us a sense of cool vibes. A Taurus bride is always a fun-freak and is too chilled out, one. Even on her D-day, all she is concerned about is good food, soothing decor and flowing wine. 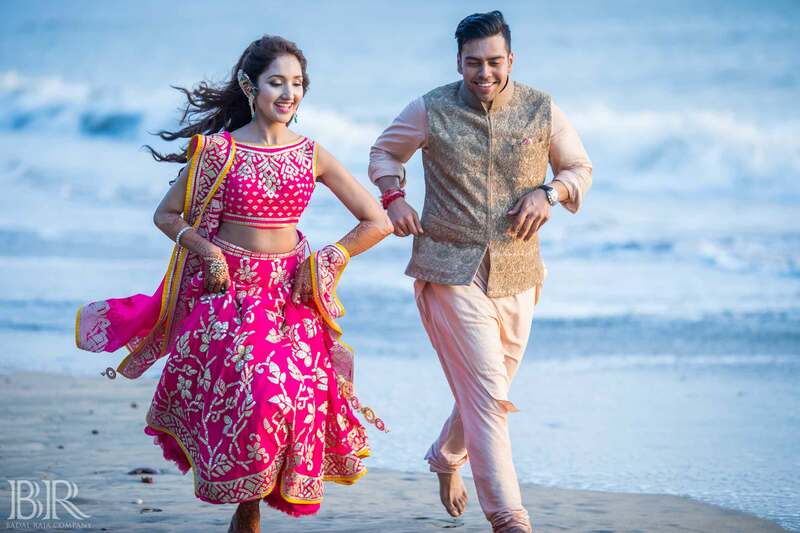 This easy-going nature of a Taurus bride will definitely make her wedding day most enjoyable and memorable for her guests. She would rather prefer to be a guest at a wedding than to be at her own. Above all, a Taurus bride is a smart buyer when it comes to owning the best trousseau in set budget. ShaadiWish Tip: Stay just the way you are. It’s your wedding day and you have the full right to do it the way you want. When we think of discussing the traits of a Gemini bride, “particularity” is something that stands out. A Gemini bride is so creative and particular about her things that she cannot afford to compromise on the smallest of the details. She never misses a chance to travel, so she always gets inclined towards having a destination wedding. She would love to have multiple functions at her wedding with quirky themes and will make sure everything goes perfectly. The dreamy nature of a Gemini bride often makes her confused about her choices. 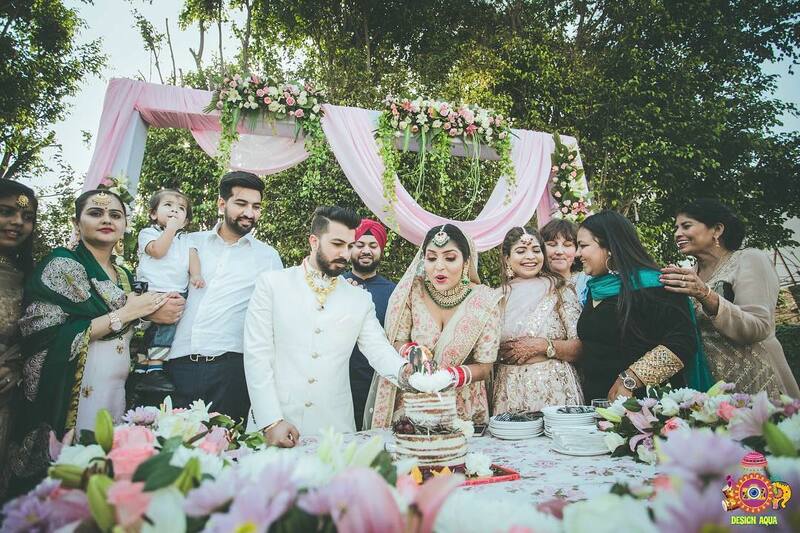 ShaadiWish Tip: We understand that you are very picky about your things, but on the wedding day try to adjust with the things available to avoid last minute panics. Isn’t it very obvious to predict that a Cancerian bride makes the weepiest and most emotional bride out of all? Her moody nature is going to keep a balance between the sensitive as well as the cheerful side of her, as a bride. She will start planning her wedding a few months prior only as she will be high on her romantic dreams. Often, she wishes to have her wedding only with her loved ones, in a very homely manner which shows that she is not at all a show-off. ShaadiWish Tip: We are aware that you might get short tempered if things don’t work your way. The trick is to stay calm and spend those last few hours with your family happily! The Leo bride loves to be under the spotlight and makes sure that all eyes are hooked on her. A Leo bride is a bossy bride who wants everything to be worked according to her. She always focuses on the finer things and minor details. ShaadiWish Tip: Beware of your bossy nature because you would not want to throw tantrums on your big day. A Virgo bride is considered to be a perfectionist. She is very well organized and a pro in plotting things right. She is her own wedding planner, as no one can meet up to her expectations and demands. She will be high on her emotions but will manage to handle it by keeping a beautiful smile on your face. 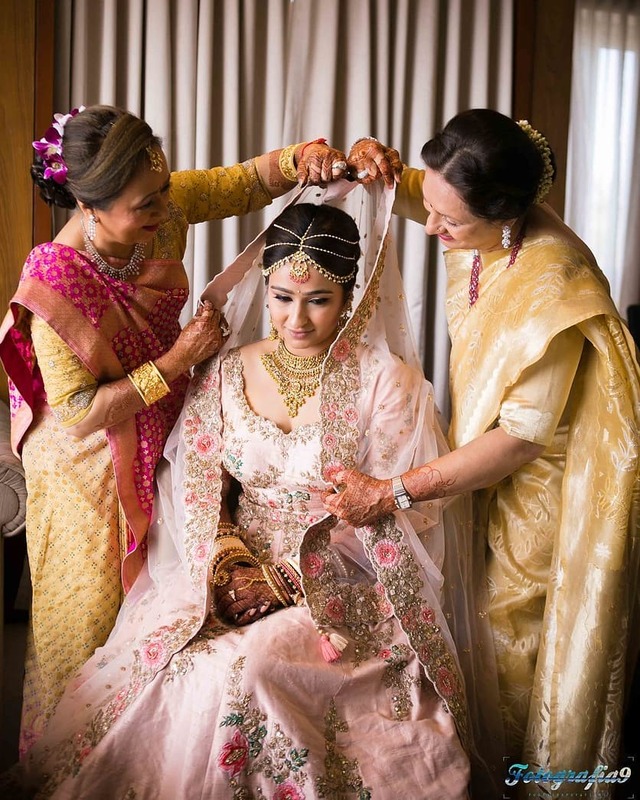 ShaadiWish Tip: As practicality and super-organized are your inherited traits, you are going to manage all the workload of your wedding on your own to get the best of the best. Don’t get too worked up on your D-day because it’s a day to grab some pampering lady! The quality of a Libra woman is that she is a good problem solver and she has a great art of balancing. On her wedding day, she will be a peacemaker between the two families. 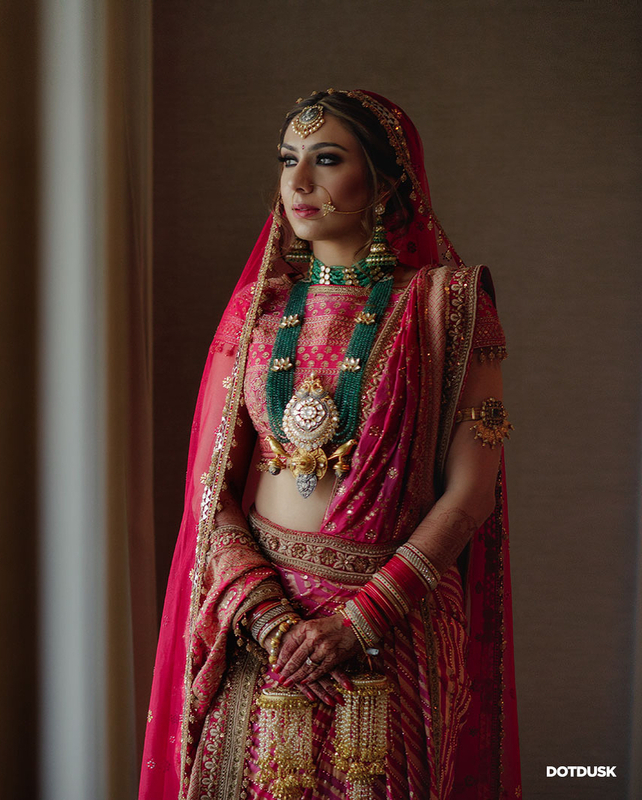 Though she will wish to grab a luxurious trousseau, her emotional side would want to keep the old world charm alive by using the old lehenga of her grandmother. 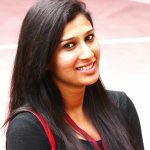 ShaadiWish Tip: Your nature of not hurting others can lead to compromising with your own happiness. So, stop pleasing others and focus on your happiness. 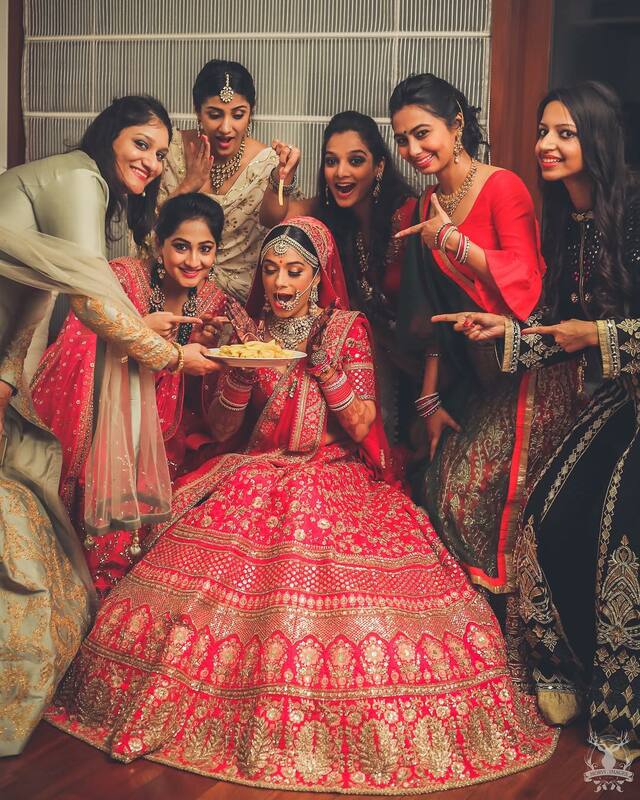 Control your emotions at your wedding as it can ruin your charming makeover. The Scorpion bride loves to keep her things ultra private and undiscovered. She would prefer to have a casual wedding in the presence of only a few people who mean the most to her. For her, marriage is something more than just ceremonies, so she definitely won’t settle for small things. Her demand for graceful yet decent arrangements will help her wedding stand out. The grand entry, lots of decent colours, and a lavish trousseau will surely work for her. ShaadiWish Tip: Beware, as you are going to explode your heavy heart with lots of tears and emotions on your wedding day. A Sagittarius bride will always prefer to choose a lavish destination wedding over anything. Travelling and vacation are her most favorite things to do. As a bride, a Sagittarius woman will always possess high energy levels. She will always stay relaxed and will enjoy every bit of this special day. She likes to follow wedding traditions and choosing a wedding trousseau would be a very casual thing for her. Even without panic and rush, she would manage to select a simple yet best bridal outfit for herself. 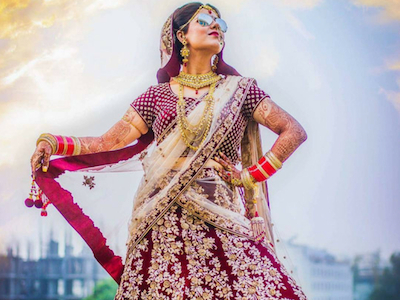 ShaadiWish Tip: A Sagittarius bride needs to stay grounded else it can cause havoc! Our Capricorn bride will not prefer to roam around for shopping and buying outfits for herself. Rather she would prefer to participate in the wedding ceremonies and take all the traditional experiences joyfully. Her love for food is the only thing that can keep her calm and relaxed on her D-day. 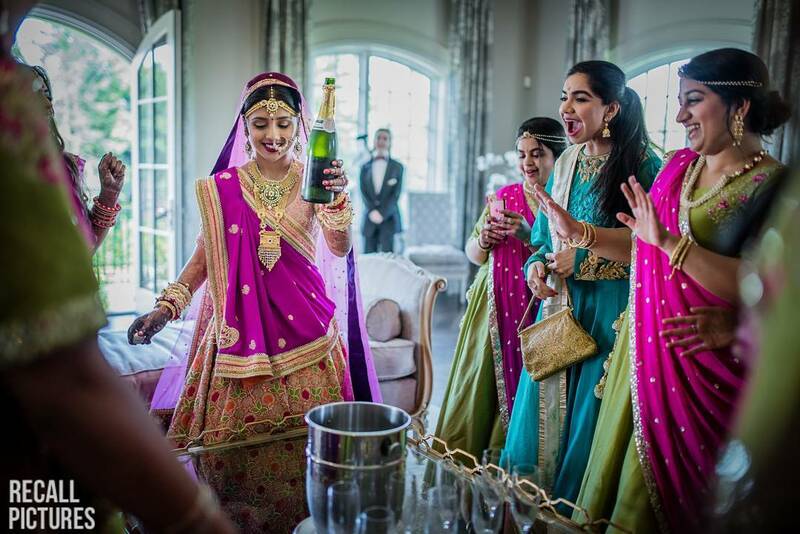 She would be a bride who would love to invite all the great grand family members for her special day. She is definitely a traditional and very professional bride. 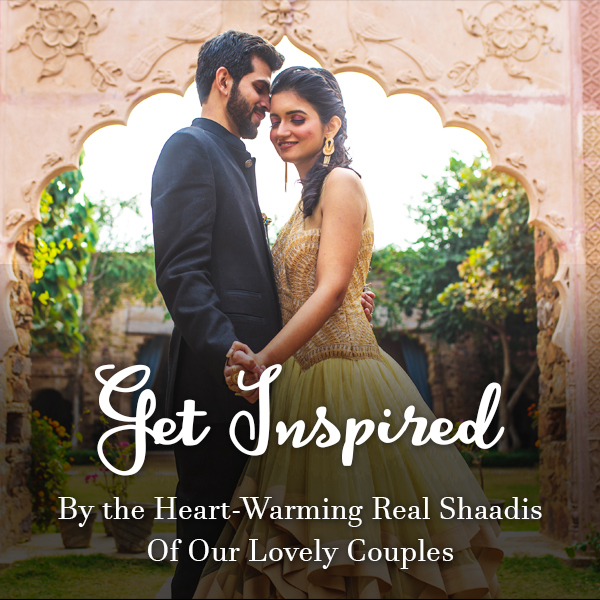 ShaadiWish Tip: Stay just the way you are! An Aquarius bride is unpredictable, strong-headed, and very impatient when it comes to her wedding day. 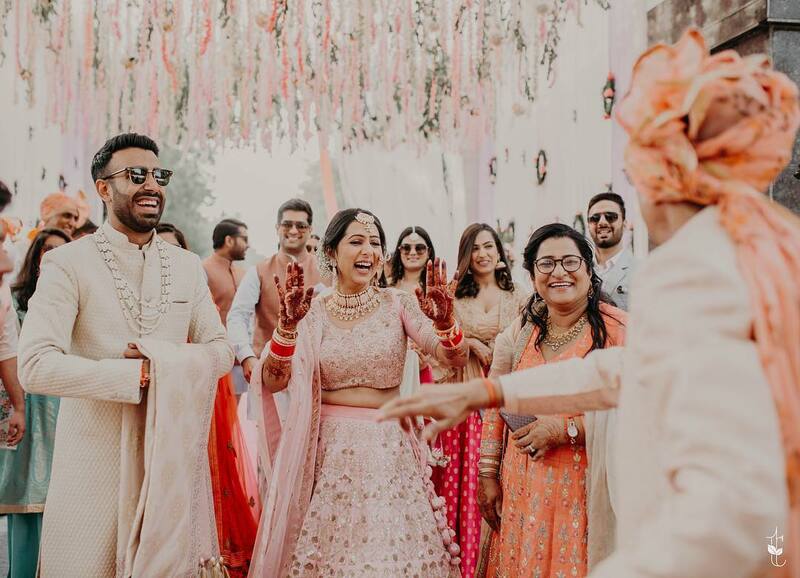 The independent bride would leave no chance to make the most out of her wedding day by dancing and partying with her squad. 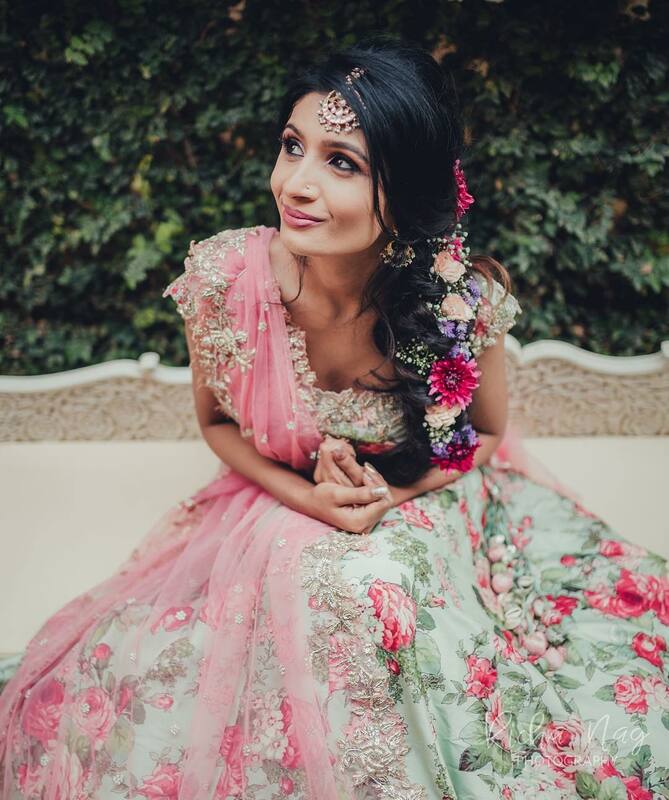 Though she will love to have a traditional touch at her wedding, something unique and quirky will always grab her attention. Talking about the emotional side of our bride, she is full of emotions but fails to express them in front of her loved ones. Unlike other brides, you will enjoy each and every moment of your wedding and would be titled as the Dancing Diva. 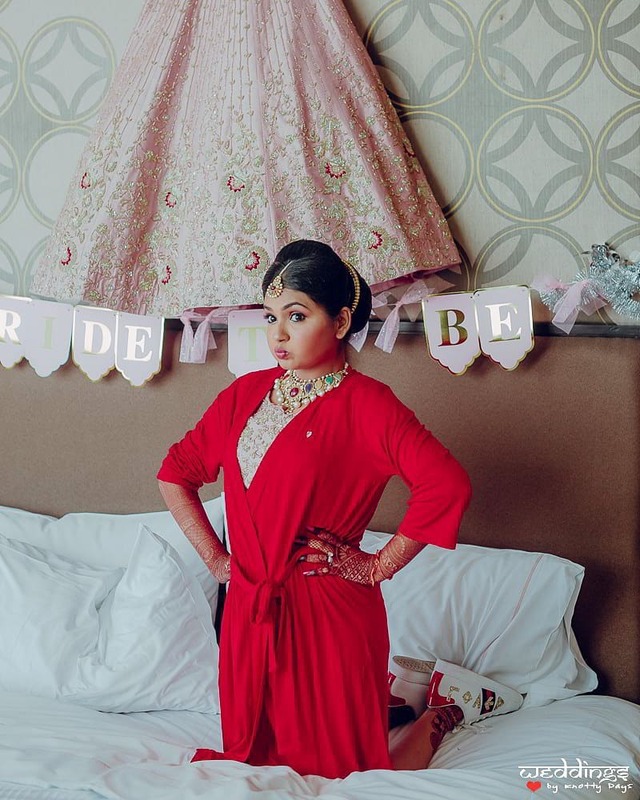 ShaadiWish Tip: While it’s good to be all confident and excited on your wedding day. Make sure you have that one special moment with your parents where you share your emotions with them. The Pisces girl is always in her own dream world and has many fantasies for her D-day. As she is too high on emotions, controlling tears on the wedding day would become next to impossible for the sensitive bride. She still will manage to carry a cute smile on her face and imagine about having a cinematic romantic wedding. Pisces brides are focused on the union of two souls more than the wedding and likes follow every ritual with emotions. ShaadiWish Tip: You will definitely consider others happiness above yours and would want every person to enjoy on your wedding day, but keep that in mind that it’s your day and your happiness matters the most today.